Your 4D Moments with your Baby before they are born! What does my baby do in the womb? What does he / she look like? Would you and your family like to share a once in a lifetime experience? How would you like a little piece of history to show your child when they grow up? 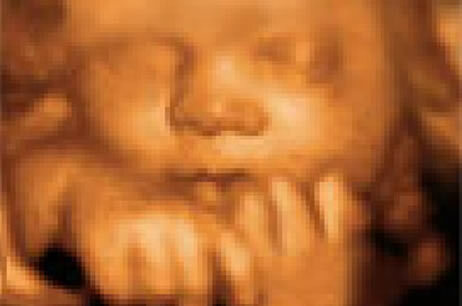 With our state of the art 4D ultrasound scanner you can now take a glimpse into the world of your unborn child. See amazing moving 3D images of your baby in safety and comfort, plus we create a unique DVD that you'll want to keep forever. Our all women, experienced team will put your mind at rest, show your baby's heart beat and presentation and create the memorable images of your baby like sucking its thumb, yawning, making funny faces and sometimes smiling! You and your family can enjoy these magical moments in our comfortable scan suite. However, it's not just the pretty images we're after. Our professional and UK trained staff will perform a foetal wellbeing check and ensure your baby is growing well by doing the tummy measurements. 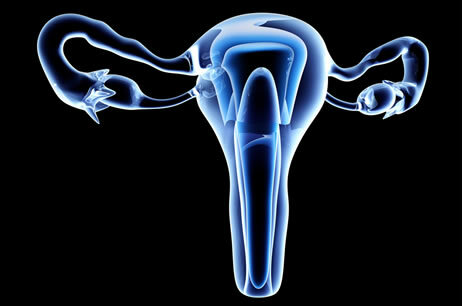 In the unlikely event of the sonographer being unable to produce a satisfactory 3D/ 4D images due to baby's position your sonographer will try her best , send you for a walk and try a second time as they love a challenge. 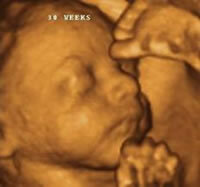 We recommend you book between 24 weeks and 30 weeks for the best 3D/4D experience.